During the 1980s I helped found, and headed, the Pentagon’s Defense Technology Security Administration (DTSA). Our mandate was to stop the theft of American technology, mostly by the USSR at the time, but by others too, including terrorist organizations. We also pressured our allies and friends to keep technology away from the USSR and rogue states like Saddam Hussein’s Iraq, Libya’s Muammar Gaddafi and the Ayatollah Khomeini’s Iran. One of the reasons this worked was the Coordinating Committee on Export Controls (COCOM), which was a multilateral export control organization of NATO countries plus Japan. That was abandoned by US president Bill Clinton and replaced with a weak and ineffective organization under what is called the Wassenaar agreement. In our time we were amazingly successful, judging from the results in hobbling the Russian military buildup by denying them crucial electronics and computer capability. That was then. But today the problem is different, and it is both troubling and scary. Many countries are willing to sell technology and products to countries including Iran, Syria and North Korea, or sometimes directly to terror operations such as ISIS, Hamas and Hezbollah. Much of the traffic is what can be termed “low end” weapons, everything from sniper rifles to mortars to landmines. A lot of it recently has been drones, and drone components, mostly coming from China. These are cheap, plentiful and lethal. Then we get to the higher end, where the transfers involve missile technology and nuclear systems. It would be convenient to say that most of this is emanating from North Korea, but that is not entirely true. 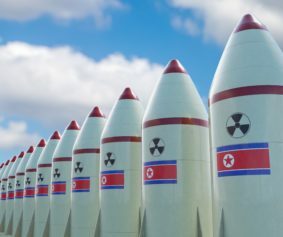 North Korea itself is the beneficiary of back-door suppliers, using China or Russia as a conduit, and both of them are major suppliers as well. Consider, for example, those enormous missile transporters rolling down wide and otherwise empty streets during North Korean military parades. They are TELS – transporters, erectors and launchers. Most come directly from China. Israel recently flagged China and a number of other Asian countries, Italy and Russia as supplying missile parts through Iran to a new Hezbollah factory near Latakia, Syria. Aside from destroying missile factories and shooting down rockets flying through the air – as Israel does when practical – what is being done about the transfers of these killer commodities? Not much, if anything. There was a time when the United States, through its intelligence services and its export-control agencies (including DTSA), was proactive and went after the bad guys. We put pressure on countries selling equipment, machinery and know-how that was verboten under export-control rules. They were often given the choice of doing business with their rogue/aggressive clients or doing business with the United States. To my mind, Western countries that care about security should not take a defeatist attitude and allow these networks to spiral out of control. There is no way, for example, to ensure the security of a nuclear deal with North Korea if it is easy for it to operate behind the curtains building the forbidden atomic weapons. 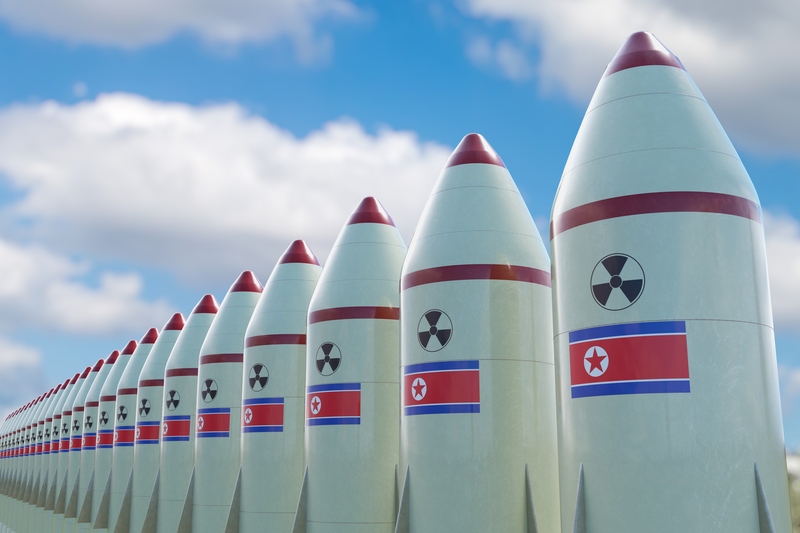 Reports show that the North Koreans are moving and hiding weapons they have already built, and have set up at least 20 unreported missile bases in the country. Certainly, they will have to keep their war industry running to supply and support these operations, which means more supplies from abroad. In short, North Korea and Iran, to name two countries of great concern for world peace, are depending on supplies from willing partners abroad. A strong effort to interdict the suppliers and make them pay for what amount to war crimes would be a great step forward. It is hard to understand why the US is not showing leadership in blocking the transfer of missile and nuclear technology. Just as President Donald Trump wants to build a wall to stop illegal immigrants on America’s southern border, we need an export wall to stop the reckless transfer of technology to countries that threaten world peace. This commentary has been posted on Asia Times, on February 12, 2019.